Aaron founded Hail Varsity in 2012 with the goal of building a premium media experience for Husker fans. 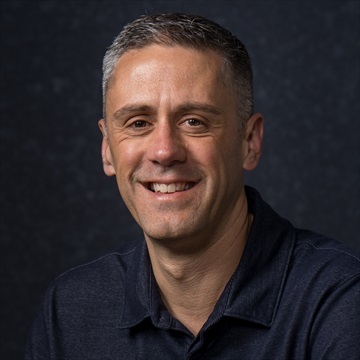 He has enjoyed a career in sports for over 20 years, working for the Kansas City Royals, UNK and UNL athletic departments and for the New York Yankees. An accomplished photographer, Aaron’s photos have been published in Sports Illustrated and ESPN magazine. When not roaming the sidelines with his camera, he’s probably planning his next trip to Europe. 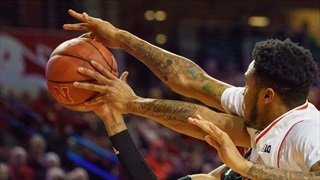 The Nebraska men's basketball team won its 20th game of the season, outlasting Maryland 70-66, at Pinnacle Bank Arena. 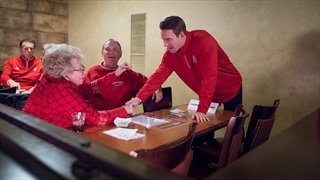 Check out the photos from the game by photographer Aaron Babcock. We're Giving Away a $2,000 Oris Watch! 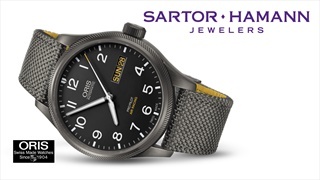 Find out how you can win a Swiss-made Oris watch from our friends at Sartor Hamann. Nebraska fans filled Lincoln's Rococo Theater Wednesday night to get a break down on the 2018 Husker recruiting class from Nebraska's coaching staff. Subscribe today to make sure you get our 2018 Recruiting Issue, the complete breakdown of Scott Frost's first Husker recruiting class. 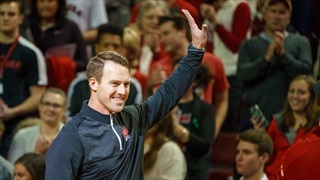 Nebraska's assistant football coaches were introduced at halftime of Nebraska's men's basketball game against Iowa Saturday. Check out the photos. Nebraska improved to 16-8 on the year with its highest offensive output in conference play since 2002. Check out the photos from the action at Pinnacle Bank Arena. The Nebraska women’s gymnastics team handed Michigan its first loss on the season 196.875 – 196.525 in a clash of last year's Big Ten co-champions. Looking for bragging rights among all your Husker friends? 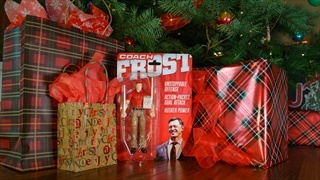 You can have the ultimate conversation piece when you win the Scott Frost Action Figure as featured on our December 2017 issue of Hail Varsity. 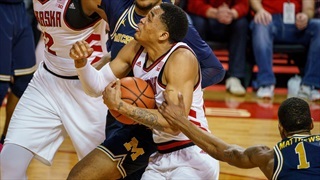 Nebraska built an early lead and never looked back against the 23rd-ranked Wolverines at Pinnacle Bank Arena Thursday night. Check out all the action in our photo gallery.